In the hot weather of March and April big meals are not very attractive. 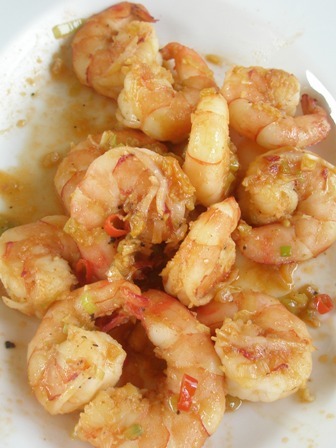 Alas, Thailand has a lot of choice in seafood and lighter dishes are the go. 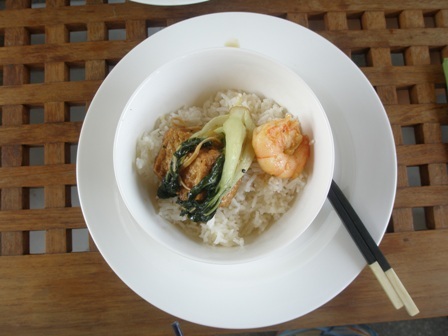 Some rice with tofu and green vegetables and plenty of scrimps are the right stuff for a light meal. The question is which wine to drink with it? There is a lot of choice actually. 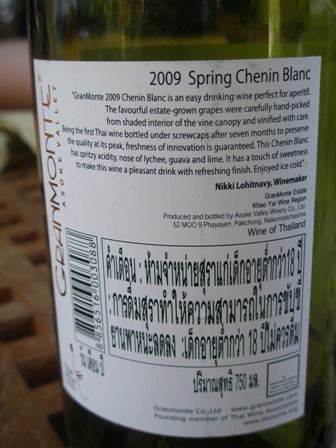 As far as white wines are concerned one could choose a Chenin Blanc from Gran Monte, Thailand, for instance. Or one could have a Pinot Grigio from Italy or Germany. 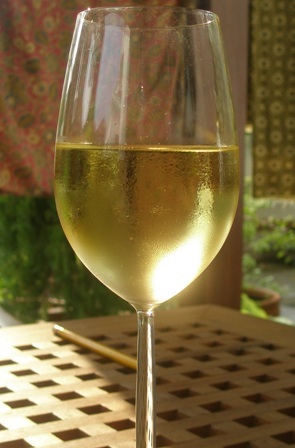 Chardonnay and Sauvignon Blanc are other possible choices. 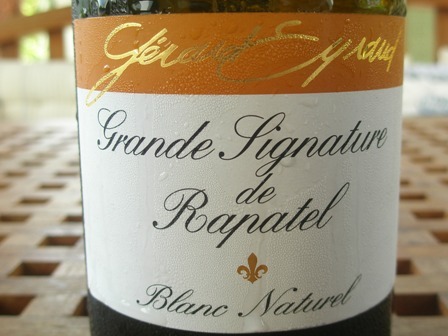 If the dish is spicy, and the above one was, the ‘Grande Signature de Rapatel’ by Gérard Eyraud, France, a blend of Roussanne and Bourboulenc, is a great choice. The wine is oily and thick and full of apricot flavour. It balances the spicyness of the food in a wonderful way. I never thought that a Roussanne could be such a good complement to Asian food. My tip of the day: try it. 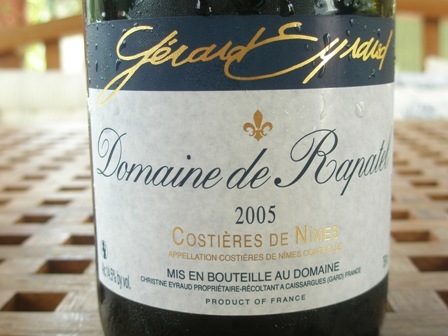 PS: You can get bottles of this wine in Bangkok from Lake House and Comte de Sibour. Last Friday we went to a wine tasting at Lake House. 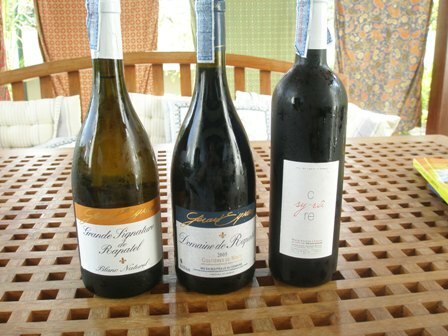 Four wines were on offer, two came from California and two from South Africa. 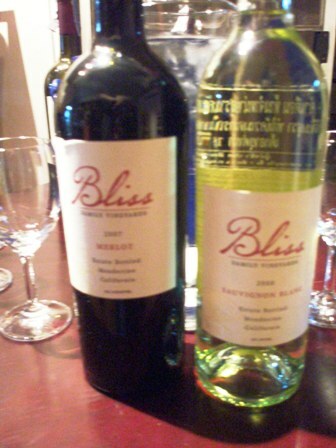 The Californian producer was Bliss Family Vineyards, which is a third generation family business in Mendocino County. The South African producer was Darling Cellars. Both producers are not small entities. From each producer we tasted a Merlot and a Sauvignon Blanc. I do not want to bore you with tasting notes. 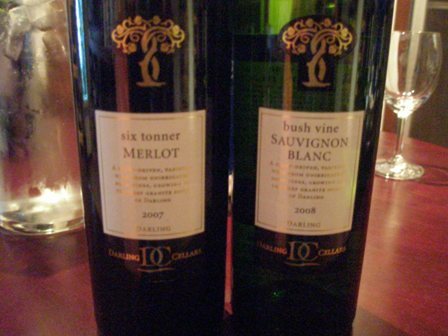 The clear “winner”, the wine I liked best, was the Merlot from Darling Cellar, a ‘2007 Six Tonner Merlot’. I did not like the wines from California. Both Sauvignon Blancs tasted very unusal but did not hold my attention for very long. The atmosphere at the Lake House tasting was, as always, great. We met so many interesting people, from Argentina, India and the USA. Dan and Dan, two of three partners of the Lake House venture were also there and we had a good chat about life and the universe. What wine to drink in Bangkok’s hot season? This is the time of the year when the thermometer shows already 32 degrees Celsius at 6:30 in the morning. In mid April it may reach 40-44 Celsius at noon. Alcoholic drinks are not ideal under such conditions. However, a glass of wine with lunch is still something desirable. So what to drink? Well, my first choice is obviously white wine, maybe a rose, but the wine needs to be chilled. Gran Monte Estate, one of the nine Thai wineries, is located in the Khao Yai region, a two hours drive north of Bangkok, and offers both, white and rose. 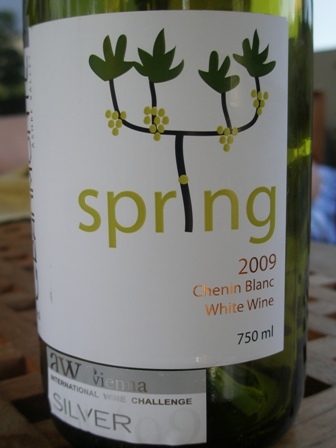 Today I talk about their ‘2009 Spring Chenin Blanc’, a fresh and vibrant young wine, very well made with tropical fruit aromas. 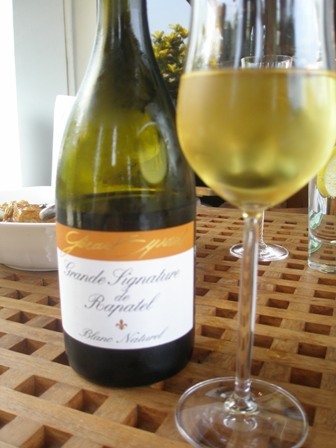 The grape variety is not my preferred choice when it comes to white wine but for the Gran Monte I make an exception. 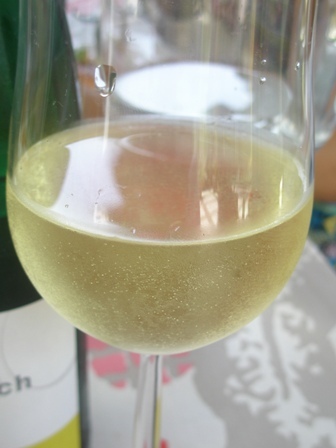 This Chenin Blanc is perfect for hot days and goes well with Italian and Asian dishes. The alcohol is 12.5% only which makes it also easy to drink in hot weather. If you live in Thailand or visit Bangkok, try it out. It is worth the odd 500 Thai Bath you pay for the bottle if you purchase directly from the Gran Monte Bangkok shop. 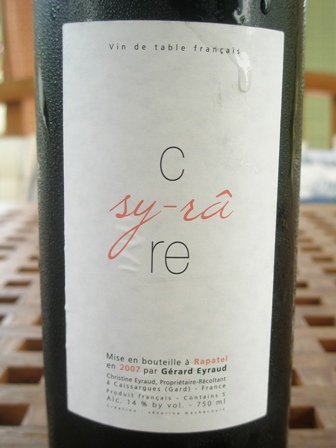 PS: Gran Monte offers also a Syrah rose (the Sakuna rose) in a half bottle which I have tried as well. More about this wine another time. Unfortunately, during my recent visit to Hanoi and Saigon I had no opportunity to check out the various culinary highlights of these fabulous places. I was part of a large delegation and had no choice regarding the food, or almost no choice. Not that we had to eat bad food. However, I could not explore the local cuisine. There are some truly extraordinary places to be found, from traditional Vietnamese cuisine to all kinds of fusion cooking. 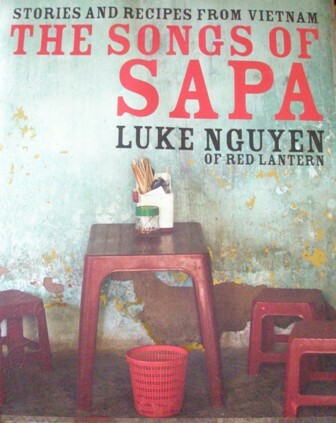 “The Songs of Sapa” is the title of a Vietnamese cookery book which is most amazing. Luke Nguyen an Australian from Sydney whose parents came as boat people and refugees, has produced a marvelous book summarizing his various travels to Vietnam. He collected many recipes and reproduced them in this book. The pictures are outstanding, really. Luke is very well known in Australia. He runs Red Lantern, a Vietnamese restaurant in Sydney. I would love to taste his cooking. For the time being I have to be content with the cookery book and because it is so magic, it will do for me here in Bangkok. There are plenty of good restaurants and fancy dining in Hua Hin, this seaside town about 3 hours south of Bangkok, which has become such a very popular destination for Bangkonians to spend the weekend. 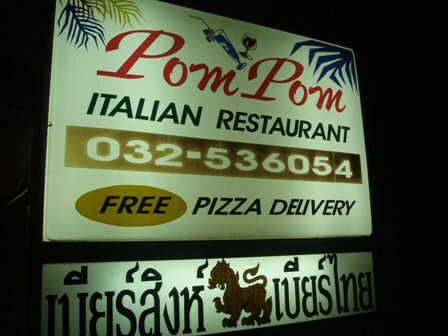 During our recent workshop in Hua Hin we ate out a couple of times. 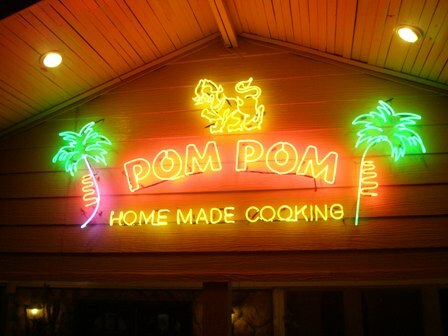 I report about a not so famous place, called Pom Pom, where you can eat for very little money home cooked dishes. Some of the food is announced as “Italian”. The place was an insiders tip, which we could not refuse. The participants of this dinner where divided as regards the quality of the food. Some thought it was awesome, other were appalled. There were few guests that night, a weekday, but the staff was very friendly and we remained seating and drinking wine for a couple of hours after the meal had ended. We consumed many bottles of wine. Nothing fancy. 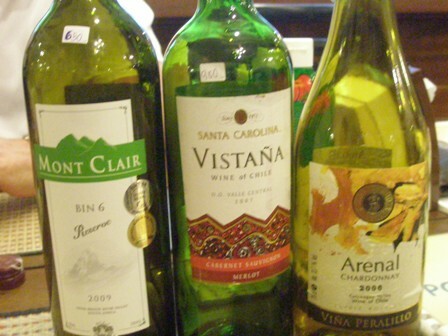 Some of the wines were re-bottled and re-blended as the label in full honesty proclaimed. We drank “our way up price’wise” and did not regret it: We woke up the next morning without hangover. We had a jolly good time. Since the beginning of this year, we have a new rule as regards the family cooking: every Sunday another member of our family is preparing the family feast. It was my turn last Sunday (more about this another time) and today my daughter Lucy (15) took on the role of the chef. She presented us with salmon with salsa and a guacamole. 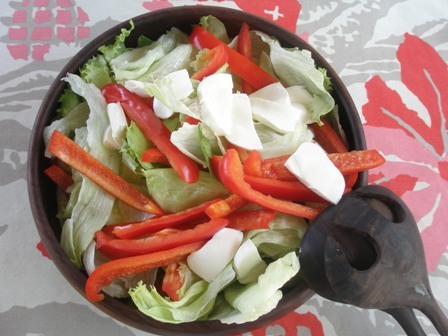 In addition we had a fresh salad which is very nice in 35 Celsius heat. Mama helped a little but not much. It was delicious, as you can see from the photos below. What a great lunch this was. 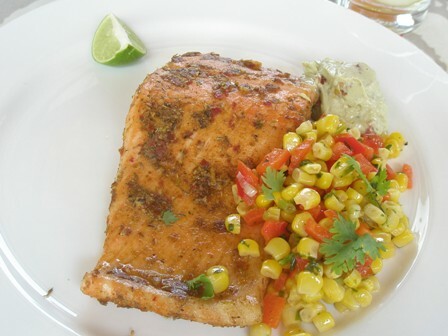 The recipe came from the delicious magazine (December 2005/January 2006): Cajun salmon with corn salsa. One mixes a table spoon each of coriander, dried tyme and oregano, cumin, and dried garlic, adds two table spoons of pimento (sweet smoked paprika) and olive oil and mixes this in high heat in a pan. 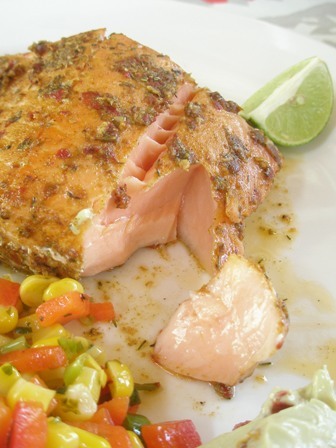 The salmon fillets are rubbed with the mix, then cooked for about two minutes on one side and one minute on the other. After that you transfer them to a heated oven of about 180 Celsius where they are cooked for about 3-5 minutes. Serve with the salsa and guacamole. The wine, however, was my department. 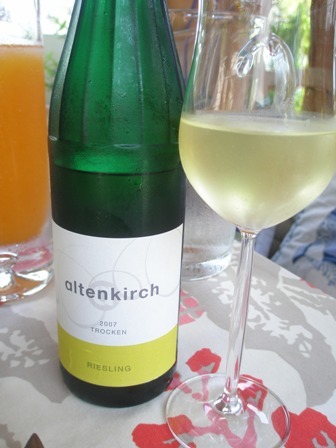 Thanks to Mathias and Beatrix we still had a bottle of ‘2007 altenkirch Rieling, trocken’ by Friedrich Altenkirch in Lorch, Rheingau, Germany. The wine is German Riesling at its best. With only 12% alc. vol. it has zest and finesse and the typical citrus flavours. It is a blend from different locations and made to be enjoyed young. The single vineyard wines from very steep slopes the winery produces are regularly awarded all kinds of medals. Altenkirch is worth a visit if you are visiting the Rhine river. You are currently browsing the The Man from Mosel River blog archives for March, 2010.